NEW PRICE! Welcome home! 773 Twinbridge Dr is a fantastic 4 bedroom / 2.5 bath Colonial situated on a large corner lot in the Tredyffrin Twp portion of Wayne. 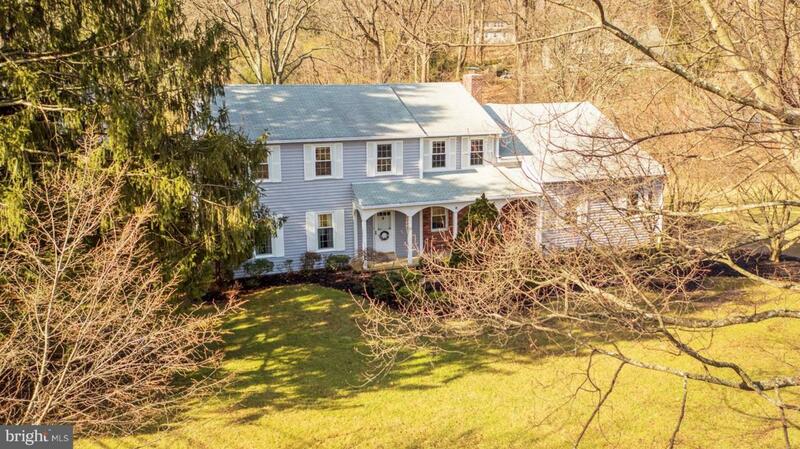 This highly sought after area is within TE School District and mere minutes from Downtown Wayne, King of Prussia (Mall, New Town Center, restaurants, etc. 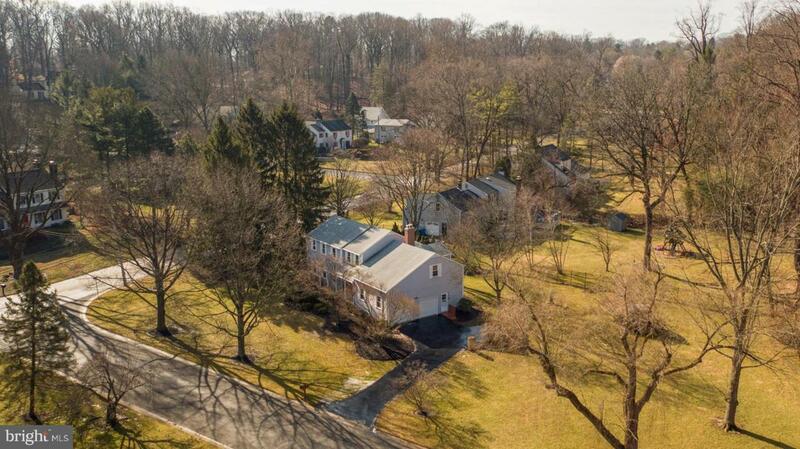 ), public transportation (Radnor Train Station) and easy access to 76. As you approach the front entrance, you~ll find a brick accent wall and a large covered front porch to enjoy this spring. 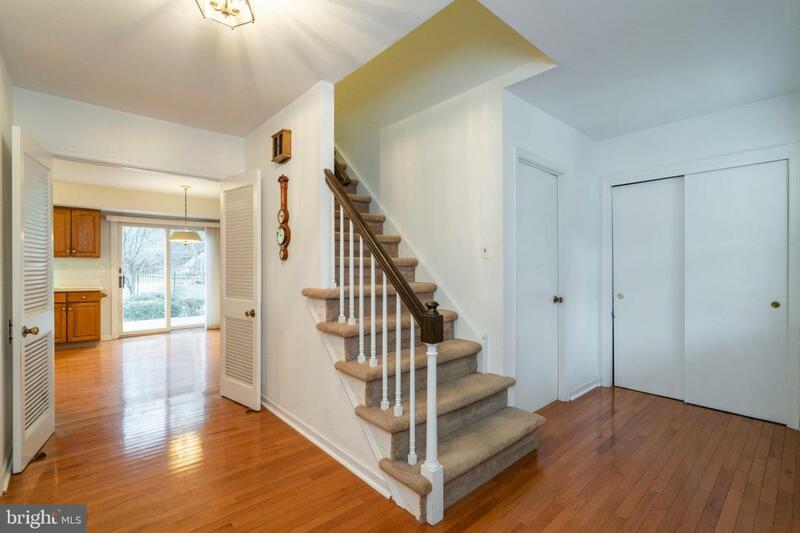 Enter directly into the front foyer complete with a coat closet and access to the powder room. The entire home has neutral paint and trim work throughout, making it appealing for any decorating taste! The living room is directly to your left and comes complete with newer plush carpeting and three large windows allowing natural light to stream inside. (There is hardwood under the carpeting, but the condition is unknown). The living room opens up to the elegant dining room featuring crown molding and chair rail. Hosting dinner parties will be a breeze as the dining room opens nicely into the huge eat-in kitchen. The L shaped Kitchen features tons of counter space for meal prep, newer electric cook-top stove, built-in microwave and dishwasher, a ceramic sink with disposal and gleaming hardwood floors throughout. There is plenty of room for a kitchen table to enjoy breakfast or a quick dinner in the kitchen or keep it open to add additional cabinetry or shelving. Keep an eye on the backyard while at the sink or through the sliding glass doors that lead to the rear patio. You~ll love how level the entire yard is for this home, a rarity for the area! There are countless options for utilizing the great yard space: extend the patio, set up play equipment, create a beautiful garden or add a swimming pool. An electric animal fence has been installed underground to help keep those with furry family members safe as an added bonus. Back inside, you~ll find a spacious family room with a brick fireplace that has been converted to gas, a second set of glass sliders and a home office. For those who are seeking a more open floorplan, there could be potential to open up part of the wall from the eat-in portion of the kitchen to the family room. No more trekking muddy shoes throughout the home. The 1st floor mud/laundry room is located right off the two car garage for convenience. There is additional storage space, a small closet and a utility sink also included. No basement, no problem! A bonus room on the 2nd floor can be accessed through the mudroom and has countless options for its use. The bonus room comes with two separate parts. The first leads to an unfinished attic space for oodles of storage. A door leads into the finished portion, which comes complete with a large storage closet and a sauna room (not used). This area could be completely opened up and turned into a 5th bedroom suite, a play area, TV/Media Theater room or keep it for storage! There is also access to this area through the master bedroom closet, depending on use, the current master suite could be expanded if desired! The master comprises of a huge bedroom area with space for a sitting area, master bath with walk-in shower and a walk-in closet with double rows of hanging space. The hallway bathroom is shared with the three nice-sized spare bedrooms, and includes an oversized dual sink vanity and shower/tub combo. Two of the spare bedrooms showcase beautiful hardwoods and the third includes plush carpeting. Why wait? If you~re looking for a large colonial home coupled with great functionality in a popular location, this is the home for you! Contact us today to schedule your personal tour of this well-maintained home. 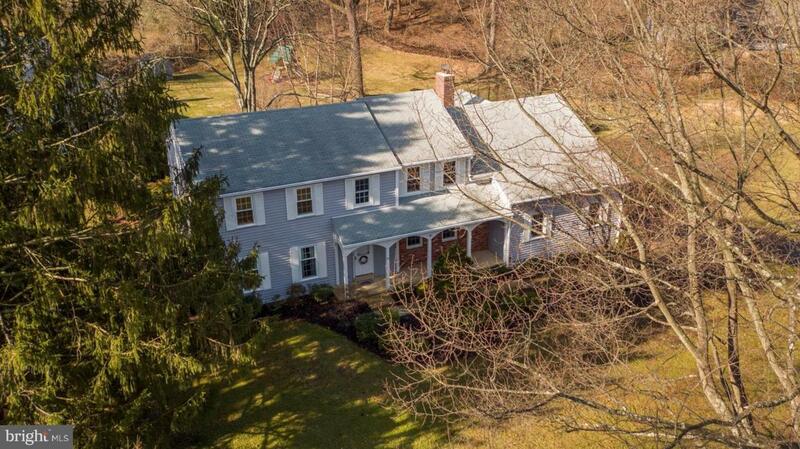 Listing courtesy of Keller Williams Main Line Realty.